The Town of New Canaan won't participate financially in a proposed project to install sidewalks along Route 106 in Darien and New Canaan, First Selectman Jayme Stevenson said at a Board of Selectmen meeting Monday night. Stevenson said she, Selectman John Lundeen and Public Works Director Bob Steeger met with New Canaan's First Selectman Robert Mallozzi and Public Works Director Michael Pastore to discuss the issue. "At this juncture, there is no public will in the town of New Canaan for this project," Stevenson said. "They don't believe that there are many, if any, residents to be served." New Canaan's participation in this project would have involved funding a sidewalk installment from Barringer Road to Talmadge Hill Road. There has been an ongoing concern among Hoyt Street residents of unsafe walking conditions to get to the Talmadge Hill train station. Stevenson said New Canaan still supports the cause. "They would be very willing to partner with us from a political perspective should we decide to move forward and seek any kind of state or federal funding," she said. "They would lend their voice of support; they will not be lending any dollars to this particular proposal." 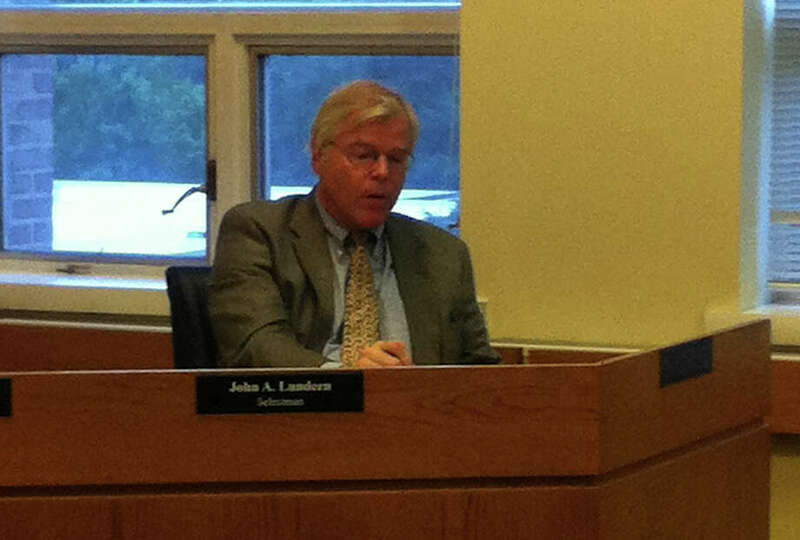 Stevenson recognized that New Canaan has other proposals for sidewalks within the town. Lundeen added, "I was pleasantly surprised with the extent with which New Canaan has prioritized the need for sidewalks around the town." This was a concern Stevenson raised about Darien earlier this month, when she said she talked to Darien Police Chief Duane Lovello about creating a group to construct guiding criteria for new sidewalk installations. "I have concerns over the precedent it sets," she said at the time. "Right now, we don't have policies on sidewalk installations." On Monday, Stevenson said the next step would be for the BOS to have a full discussion about the proposal and decide how to move forward.